The fourth revised printing of Painting Missouri: The Counties en Plein Air is now available. Please e-mail Billyo at billyo@usmo.com or Karen at kjkglines@gmail.com if you would like a book. Cost: $54.00 with tax; $58.00 with tax/shipping if necessary. 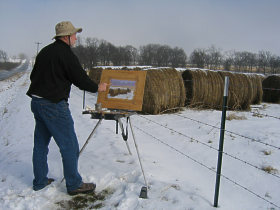 The book, Painting Missouri: The Counties en Plein Air, was a major undertaking by both Karen Glines and Billyo O’Donnell. Starting in 2001, the collaborators spent their time for seven years engaged in this project – Billyo traveling to each county many times finding just the perfect image to paint while Karen researched and wrote a descriptive essay on the same regions. Billyo’s diary commentaries add a great deal to the book describing why he may have chosen the subject matter for a particular county or experiences he had while painting outdoors. It is their love of their state that kept them going for those seven years and the desire to work on a project that would be timeless – and one that future generations could appreciate for years to come. Previously, signed books by both artist and author have been available – with a special stamp signed by Billyo of a sketch he did on the “Painting Missouri” journey (that will add value to the book in the years ahead). The book is now in its 4th printing and includes an Index, the image of the dustcover front of the book imprinted on the hardback front, and the special stamp signed by Billyo. With more counties than most other states, Missouri posed a unique challenge for Billyo O’Donnell. Setting out to create an outdoor painting on location (en plein air) for each of Missouri’s 114 counties plus the city of St. Louis, this award-winning artist devoted years of travel and logged more than 150,000 miles to capture the many textures of a multifaceted state. Painting Missouri is an extraordinarily rich collection of scenes and seasons along the highways and byways of the Show-Me State. 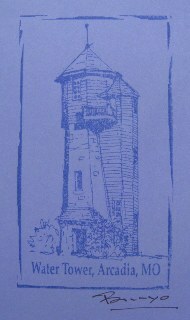 Turn the pages of Painting Missouri: The Counties en Plein Air to find a farmer driving a combine in a Ray County cornfield or the Benedictine convent in Nodaway County or mist rising from snow at sunrise in Prairie State Park. Here are scenes both familiar and intimate: farmhouses and barns, Lover’s Leap in Hannibal, and the view of St. Louis from the roof of the Cathedral Basilica. O’Donnell even captured Pierce City before a tornado destroyed the town in 2003-and painted Canton from a vista that another twister had newly opened. Accompanying the paintings are essays by Karen Glines, who provides essential historical information about the counties, from interesting facts about their foundings and names to the stories behind their courthouses. Drawing on extensive research in many local historical societies, Glines shares what she learned about the early histories and present concerns of the state’s diverse regions, including local anecdotes, Civil War stories, and insights into the roles of Native Americans in regional history. Additional comments by O’Donnell relate some of his experiences while creating the paintings. Karen Glines is an award-winning journalist and photojournalist who lives in Des Peres, Missouri. She has taught communication classes at the university level, served as a mentor to journalism students, and as president of Missouri Professional Communicators and the St. Louis Artists’ Guild. 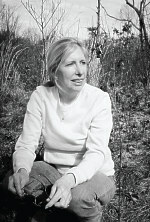 Her published works have appeared locally, nationally, and internationally. 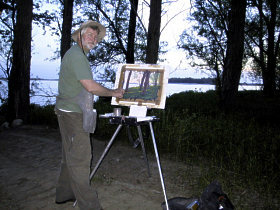 Billyo O’Donnell, lives in Eureka, Missouri, and is founder of the Artists along the Katy Trail program – the precursor of plein air organized events across Missouri today. 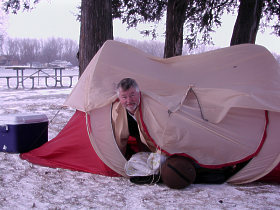 He was selected as one of America’s Fifty Exceptional Plein Air Painters by the Haggin Museum in Stockton, California. His works are included in prestigious collections in the United States, Japan, and Europe.